In an effort to show our appreciation for all that first responders (firefighters, police officers, sheriffs, emergency medical technicians, etc.) do to help our community, this free clinic is provided by the Pro Bono Council and the North Carolina Bar Foundation, in partnership with the Young Lawyers Division of the North Carolina Bar Association. 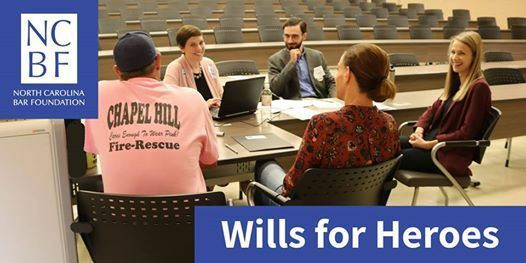 The Wills for Heroes program offers free Wills, Health Care Powers of Attorney, and Powers of Attorney to North Carolina’s publicly employed and volunteer first responders and their spouses/partners.